In some parts of the world, it is called Philippine lime. But most Filipinos call it calamansi or calamondin and in the Visayas and Mindanao, it is known as lemonsito. 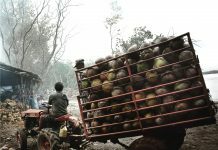 The good news is: there is an international market for this fruit which is used primarily as juice, puree, and for souring food. The Department of Agriculture (DA) has identified calamansi as “one of the most important fruit crops grown in the Philippines.” In terms of area and production, it ranks fourth to banana, mango, and pineapple. The Southeast Asian Regional Center for Graduate Study and Research in Agriculture (SEARCA) reported that the country’s calamansi export ranged from 20 to 35 metric tons in 2008 to 2013 with an average yearly export of 29.5 metric tons in fresh fruits. 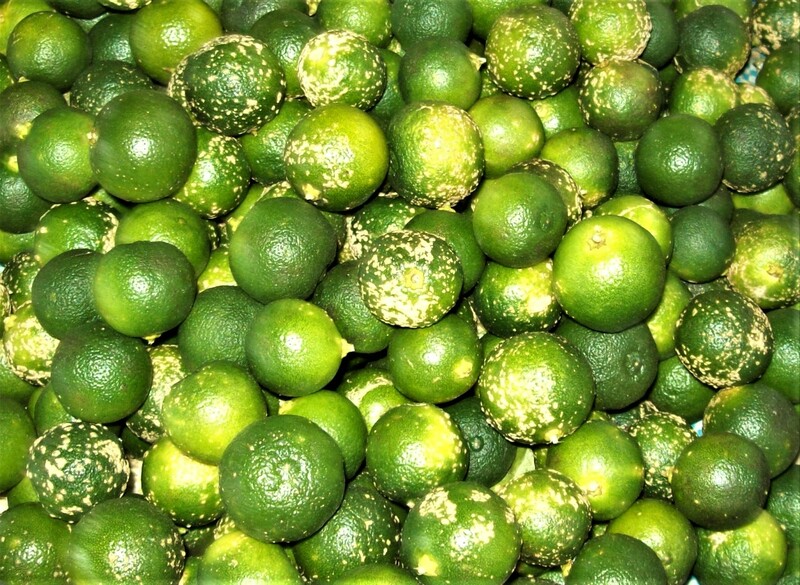 Calamansi is in great demand abroad. In South Korea, for instance, it is among the latest food fad. “Calamansi is a very hot item right now,” Emmanuel W. Ang, Philippine Trade and Investment Center commercial counselor for South Korea, was quoted as saying by Business World. In Davao Region, one of those which ventured into production of ready-to-drink calamansi fruit juice and calamansi concentrate is Tagum Golden Foods. It exports some of its productions to South Korea. She was right. The success of her company has contributed to Tagum City’s socio-economic progress as it generates employment and pays due taxes, while providing calamansi growers with a steady market. While there is now a great interest on calamansi in some parts of the world, it is not as rosy out here. Recent reports said that calamansi production in the country had declined over a 6-year period. From 199,675 metric tons over a land area of 20,956 hectares in 2008, production went down to 164,050 metric tons over a land area of 20,246 hectares in 2013. The decline is due to the greening disease or “huanglongbing” (HLB) which decreases yield and causes death of trees, according to the Taiwan-based Food and Fertilizer Technology Center (FFTC). With a total land area of 6,872 hectares planted to calamansi, MIMAROPA (Mindoro, Marinduque, Romblon, and Palawan) leads the production in Luzon. Central Luzon (Zambales, Bulacan, Pampanga, Nueva Ecija, and Bataan) follows with 1,734 hectares while Ilocos Region settles for third place with 1,026 hectares planted to the crop. In Mindanao, the top producers Davao Region (Davao del Sur, Davao del Norte, Davao Oriental, Davao Occidental and Compostela Valley) with 1,797 hectares, then CARAGA (Agusan del Sur, Agusan del Norte, Surigao del Sur, Surigao del Norte, and Dinagat Islands) with 1,412 hectares, and Zamboanga Peninsula with 1,077 hectares. 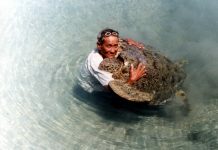 “Yield has been dropping from an average of 9.53 metric tons in 2008 to 8.10 metric tons in 2013, down to an annual growth rate of -3.18,” stated a press statement from the Laguna-based SEARCA. But somewhere beckons a silver lining. The Tokyo University of Agriculture (Tokyo NODAI) has introduced the off-season production of calamansi in Victoria, Oriental Mindoro as part of helping expand jobs and beef up Philippines’ calamansi export. The Philippine Rural Development Program of the agriculture department said that Filipino buyers prefer calamansi from Oriental Mindoro because it has a thicker rind, stronger taste, longer shelf-life, and resists weight loss. The 2-hectare calamansi demonstration farm owned by calamansi grower Cornelio Palomar in barangay Leido was the chosen experimental site considering the age (6 years) and height (1 to 2.5 meters) of trees. According to the report, two types of pruning were employed to delay fruiting: the half and the full pruning of shoots, young flower buds, and fruits. Basal application of fertilizer solutions using abscissic acid (ABA) and Miyobi Gold, a commercial fertilizer in Japan containing natural type of ABA and potassium were also done to promote and increase flower formation during off-season. A total of 30 calamansi trees were purposively selected, tagged, and weeded. These were equally divided into six treatments including the control, the report said. A quarter of a kilogram of fruit samples for each of the 4 maturity stages of calamansi (mature green, breaker, ripe, and over-ripe) were gathered for laboratory analysis to determine the physio-chemical characteristics. That includes ascorbic acid content as part of the fruit quality evaluation. “The quality evaluation of fruits produced in the area at different ripening stages is expected to aid in determining the suitable maturity stage ideal for processing,” SEARCA said. The off-season production is seen to raise the country’s potential to expand its export of around 170 metric tons annually to Hongkong, United Arab Emirates and Saudi Arabia. Export is in the form of fresh and processed calamansi. The person credited for bringing the collaboration was Dr. Ma. Conception L. Mores, the vice president of the Mindoro State College of Agriculture and Technology (MinSCAT) who coordinated with Tokyo NODAI to identify farm sites for the continuous trial on the off-season technology of calamansi. Farmer-cooperators had been tapped to participate in the pilot farming so as to train Filipino farmers. “The success of these farming technologies in attaining a stable supply of calamansi even during lean months will bring farmers in a better position where they can maximize the economic benefits brought about by higher level of farmgate prices, which in turn raise farm income,” SEARCA Patricia Ann A. Pielago reported. Calamansi is indigenous to the Philippines. The tree grows to about 25 feet tall at maturity. Its pulp has a distinctive flavor described as “a cross between lime and orange.” The tartness of calamansi blends well with other juices such as banana, apple, grape, papaya, mango and coconut water. The acidic juice is primarily valued for making acid beverages. It is often used like lime or lemon juice to make gelatin salads or desserts, custard pies, or chiffon pies. The extracted juice is pasteurized and bottled commercially. Aside from being a versatile souring ingredient, calamansi is getting popular because of its health benefits. For one, high blood or hypertension finds its match in calamansi. When eating, Dr. Willie T. Ong uses calamansi sauce. Packed with vitamin C and other beneficial nutrients, calamansi juice has been used as an immune booster for generations. Despite its high levels of citric acid, many people drink it as a soothing substance for the stomach. People who want to lose weight might consider drinking calamansi juice. 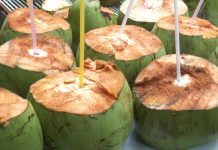 “This tropical juice is legendary for its impact on weight loss, as it has the ability to not only boost the metabolism but also eliminate many of the toxins in the body that can contribute to fat storage,” said the website of Organic Facts. “By increasing metabolic speed, this juice can improve passive fat-burning throughout the day, while detoxifying the body will help all of your organ systems run more smoothly and function properly, aiding in calorie burning. By reducing fat storage, you will have more usable energy and less adipose fat formation. Many people drink a glass of calamansi juice every morning to stimulate the body and achieve weight-loss goals,” the website adds.